EdwardGoreyLibrary is a Legacy Library. Legacy libraries are the personal libraries of famous readers, entered by LibraryThing members from the Legacy Libraries group. » Edward St. John Gorey 's catalog. » Edward St. John Gorey 's legacy profile. EdwardGoreyLibrary is also an author. 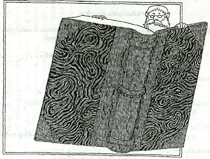 » See Edward Gorey's author page. About my libraryThe Edward Gorey Personal Library collection at San Diego State University library comprises over 26,000 books. What is included in this legacy library is a small subcollection of those. These are descriptions of the physical books that Edward St. John Gorey (1925-2000) collected in his lifetime. Over 6,000 titles are cataloged now and the work continues. To search the EGPL collection at San Diego State University library, go to http://library.sdsu.edu/egpl to search this unique collection.